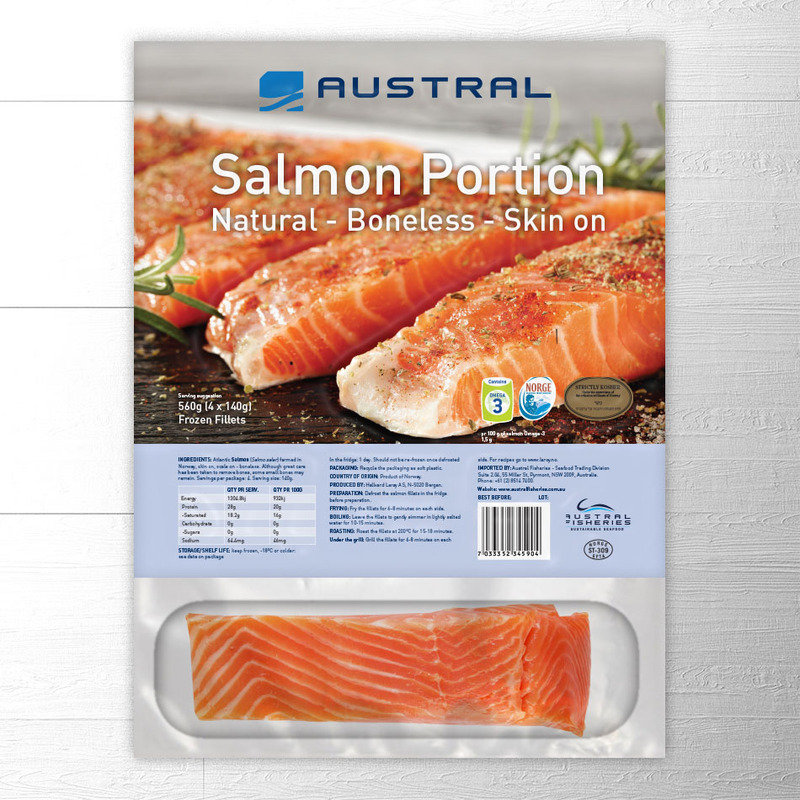 Austral Fisheries commissioned Indepth to create a couple of packaging for Salmon and Trout sashimi portions. The style they required was clean and prestigious, to reflect the product which was a high grade of Salmon and Trout sashimi. We recreated the Austral banding icon to replicate the look of a Japanese square stamp and the typography to echo the square shape. 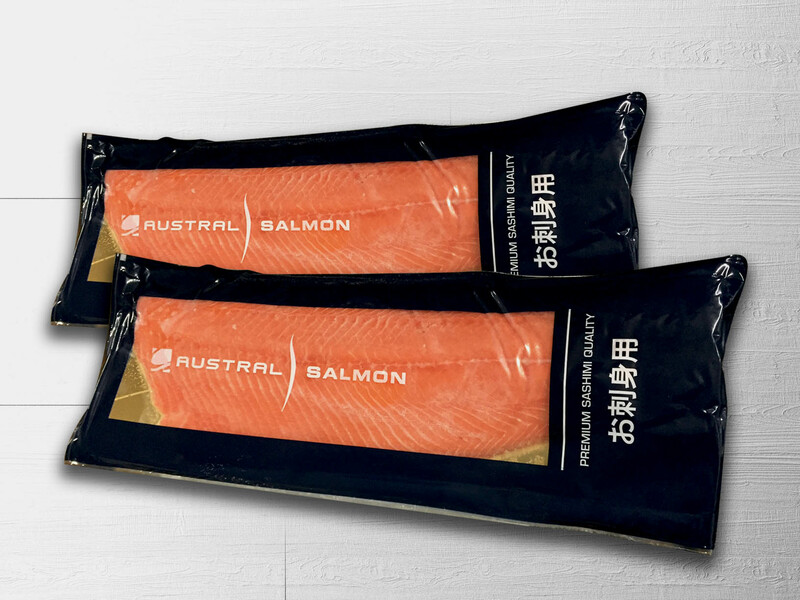 Packaging was designed for Retail Display and Bulk Carton supply packaging.